When searching for the best flights for your trip, there are several factors to consider, especially for long haul flights, and for domestic journeys too. ATAS travel agents can help you compare flights and find the cheap airfare you’re looking for that meets your needs and might even exceed your expectations! Most airlines release their flight tickets 11-12 months ahead, and booking well in advance will certainly be cheaper than purchasing last minute flights. However, if you want to be really savvy, there is data constantly being churned out and analysed that tell travel planners the optimum time to book flights for each destination to get the best prices. As a rule of thumb, the best time to find cheap airfares is between 22 and 24 weeks in advance. This advice changes over time of course, and fares themselves can change daily, so it’s a case of keeping up with what’s happening. There are several flight finders that continually compare flights, and your ATAS travel advisor will have this information at their fingertips, along with the latest low fare releases. If you do find yourself having to book last minute flights, you might be able to cut the cost by booking an indirect flight via a stopover destination. The reason for this is that direct flights to popular resort destinations can carry a higher price tag. Getting there via a different route not only has the potential to bring the flight ticket price down, but could add value to your holiday too if you turn a 3 hour stopover into an opportunity to visit a new destination for a couple of days. There are so many variables involved in booking flights that you’re well advised to ask your local ATAS travel agent to trawl the huge amount of information for you to compare flights and check for special offers at the same time. Choosing the day and time you fly is an important factor in your decision making when you plan a trip. Generally speaking, Tuesdays and Wednesdays are best for cheap airfares; this is because business travellers tend to depart on Mondays and return late in the week, while holiday-makers taking a resort vacation are likely to travel at the weekend. How flexible can you be on the time of day and date you fly? This can make quite a difference to the cost. Be as flexible as you can, so that you can shift your dates a little in order to achieve a lower price. If you can choose any time of year to travel, so much the better. Some destinations have peak periods that are best avoided if you want cheap airfares. For example, long haul flights between Australia and the UK from mid December to early January carry a much higher price tag. This is due to the large number of relatives getting together over the holiday season - along with the novelty of experiencing Christmas in a different hemisphere! Time of day will also be a factor - more so for domestic than long haul flights - with early morning and late afternoon being the peak times for flying and therefore often a little pricier. ‘Red-eye’ tickets are great for cheap airfares because you’re travelling at the least popular time - overnight. However, this could be a false economy if you miss out on the following day because you’re exhausted. Better to book flights that depart in the evening after peak time, arrive late in the evening and get some sleep! An unusual way to travel on a tight budget is to apply destination flexibility. If you’re the easygoing adventurous type, look for cheap airfares to anywhere and choose your destination to suit the weeks you have available at the right price - that way you might end up visiting a place you wouldn’t otherwise have considered. If you’re still deciding where to go next, check our 2018 Travel Forecast and Holiday Package Deals. A simple and quick tip for those who collect frequent flyer points: it costs roughly the same in points to upgrade to Business Class as it does to purchase an Economy fare. This is a fantastic way to get great value from your points. For example, a Qantas Business Class upgrade from Sydney to Perth starts at only 10,000 points on a flexible fare. However, note that this is only available on up-gradable flight tickets, which are at the more expensive end of the Economy fare price scale. Check their website to find out more and explore their upgrade calculator to see many points you need to upgrade your flight tickets. Business travellers need to arrive fresh and smartly turned out: Premium Economy is a more comfortable option that won’t break the budget. Premium Economy class is becoming more widely available now for Australians, and a great choice for those wanting a bit more comfort or seeking cheaper airfares for business travel. Explore Air New Zealand’s excellent Premium Economy fares to the US and South America for under $3,000. Other airlines worth including in your search for Premium Economy quality are Singapore Airlines, Lufthansa, Qantas and Cathay Pacific. Your ATAS travel agent will be able to help you find the best way to get value from your frequent flyer points. Some carriers, such as Singapore Airlines, have fantastic round-the-world (RTW) fares in both Economy and Business Class, especially if you have frequent flyer points to spend. You’ll get much better RTW deals when you book flights through a travel agent. It’s time-consuming to work out the ideal combination of flights and stopovers within the options and fares available, and ATAS travel agents have quick access to numerous flight finders, booking systems and expertise that will give you the best price. In addition, there are limits on the number of destinations and flight legs, as well as the routes, and your travel advisor will be able to work with all this information to find the best flights and price for you. You can get more out of your RTW ticket by travelling between some destinations overland - a nice way to add touring to your holiday. Again, an experienced travel advisor can work out the best value options for you. Round-the-world or multi-destination fares for long haul journeys can be a lot more cost-effective. You don’t have to go all the way around the world to get the benefits of these types of fares for long haul flights. For example, Finnair offers return flights from Australia to Helsinki stopping in Asia on the way there and North America on the way back - for the same price as a simple return flight ticket. Emirates ‘multi-destination’ and Qantas ‘multi-city’ options also give great value fares that are more cost-effective than booking individual flights. For North American holidays, try to avoid domestic flights to get from one city to another. Instead, ask your ATAS travel agent to organise an international flight with stopovers in the cities you want to visit. This can give you a cheaper airfare overall and a smoother airport experience. There are so many flight finders, trip planning sites, online travel advisors and comparison tools, that it’s possible now for anyone to find and book flights. However, the time you spend can be huge if you’re really thorough, as you disappear down rabbit holes, surf across airline sites, and ponder endless possible variations on your journey. This is where an ATAS accredited travel advisor is worth their weight in gold - yet won’t cost you much at all. If you weigh up the value of your time, the cost of your stress, and the savings they can achieve for you - it’s worth talking to a travel agent! There are several factors involved in finding and booking the best flights, and the goal posts are continually moving. ATAS travel agents are across the metadata, and will also have early access to special cheap airfare offers and the best deals around for your journey. They’re experienced enough to make suggestions you might not have thought of, give advice you don’t know you need, and help you plan a trip in its entirety - entry visas, vaccinations, accommodation, car hire, overland transport, travel insurance, and much more. If you’re booking long haul flights to a destination you haven’t visited before, a travel planner can advise on which areas to stay or avoid, find the best tour operators, ensure you know how to get from A to B, provide information on local customs, events and exchange rates, right down to the fine detail, such as booking bus tickets and explaining how to find the bus station. ATAS also offers valuable online travel advice and resources, such as Travel Alerts and this Pre-departure Checklist. So getting help from ATAS travel agents not only saves you a lot of time, but will almost certainly save you money, and bring you peace of mind. Whether you’re holidaying with the family or organising a crucial business trip, you’re now armed with expert advice for finding the best airfares. ATAS travel agents are continually trawling the latest flight data, comparing prices and picking up on current deals. So make the most of their knowledge, time and expertise to save even more! For a quick, reliable way to find the best flight deals for your trip, go to an ATAS travel agent. 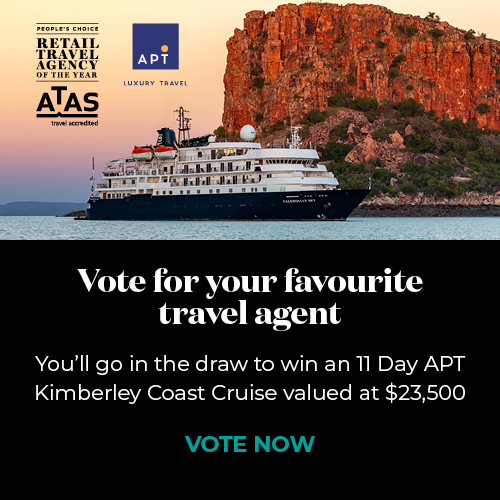 Here are some excellent reasons to choose an ATAS accredited travel agent every time.